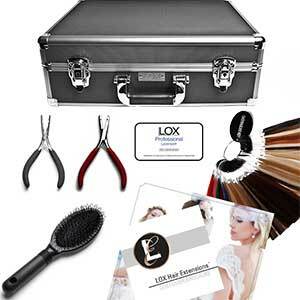 The LOX Starter Kit is available for licensed cosmetologists to become certified in LOX Hair Extensions. The Kit includes access to our Online Training and everything needed to start applying LOX Hair Extensions. The Salon Licensing Package is designed for Salon Owners to get unlimited licensing for their staff at one amazing price. To enroll in our Hair Extension Online Training, you first need to be a licensed cosmetologist. Next, you will need to purchase either a Stylist Starter Kit or a Salon Licensing Package. Our Hair Extensions Starter Kit Includes Online Training access and everything needed to start applying LOX Hair Extensions. Our unique and interactive Online Training is an engaging learning experience designed for YOU. We make it simple, convenient and affordable to become certified in LOX Hair Extensions. 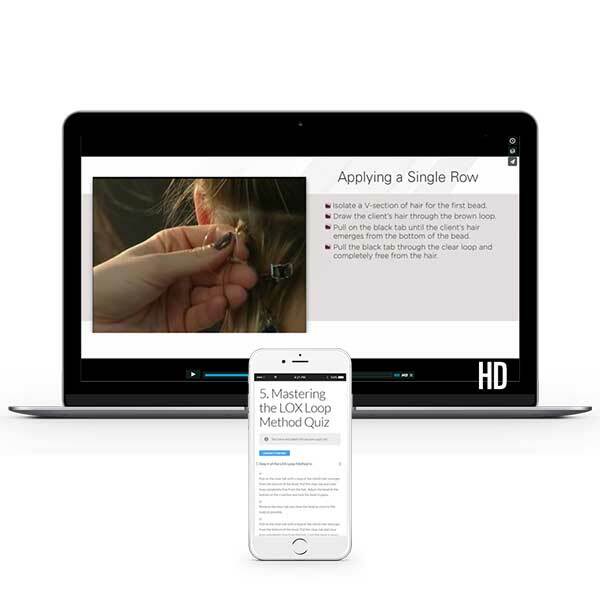 The mobile friendly course takes only 1-2 hours and is broken down into 14 simple hair extension lessons. This makes it easy to take each lesson at your own pace. Once the training is complete, your Online Store account will be activated, allowing you to purchase the LOX Professional Micro Bead Extensions. LOX Single Strands are Remy Human Hair extensions designed for professional use only. Our human hair extensions are pre-attached to a silicone lined micro bead. The extensions are applied to the natural hair with our unique LOX Loop Method. LOX WEFTS are Remy Human Hair extensions designed for professional use only. 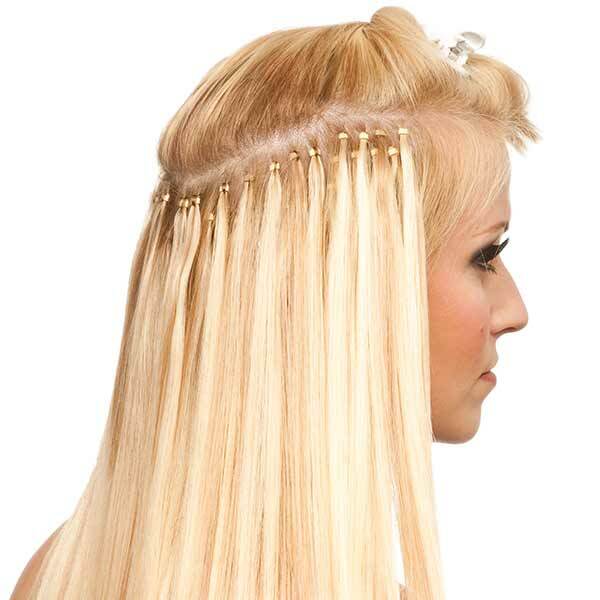 Our human hair extensions are hand tied onto a small and seamless mesh strip. A very thin layer of polyurethane is applied to the weft, mimicking the look and flexibility of the human scalp. Silicone lined aluminum and zinc beads are hand sewn to the extensions and applied to the natural hair with our unique LOX Loop Method. The LOX Loop Method is the best hair extensions application precisely because it is so easy to learn. The LOX Starter Kit Includes Online Training to expedite the certification process, and typically takes about 2 hours to complete. Can I take the Online Training as soon as I order the Kit? Yes! Once you complete your purchase, you will go to My Account, go to your Online Training/Certification Membership and start the Micro Bead Professional Training.